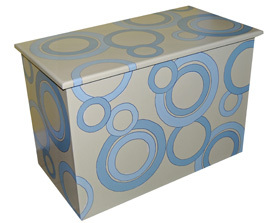 Euro storage boxes are great for games, toys, linens, or a window seat. Storage chests in stock are natural wood. Pictured here in custom paint.